Platinum Jigsaw Diamond Set Engagement and Fitted Wedding Ring — Form Bespoke Jewellers Ltd.
A bespoke engagement and fitted wedding ring set with a unique diamond jigsaw design. This bespoke wedding jewellery set has been made to the customer’s design in a jigsaw style with contrasting finishes. The engagement ring is fully diamond set in a polished band with two rows of round brilliant cut diamonds. 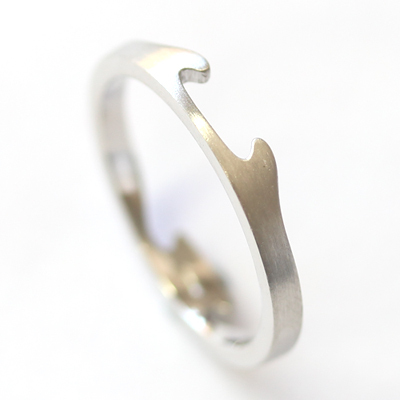 The wedding ring has a satin finish to the band. 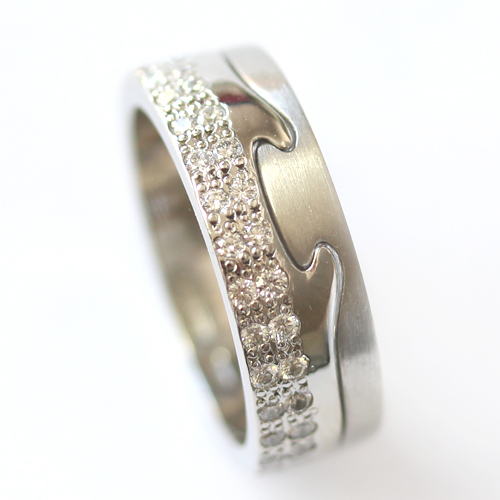 The two rings have then been handmade to fit perfectly together and cast in platinum.